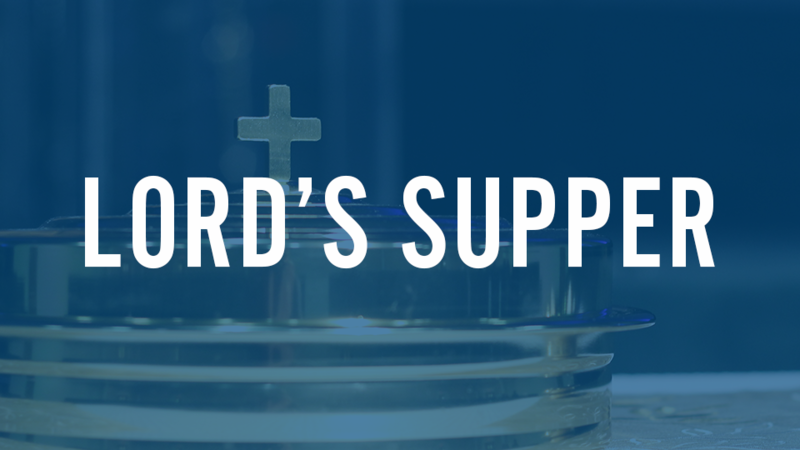 The Lord’s Supper is a time of celebration and remembrance of our Lord’s sacrifice on the cross, for the redemption of sinners, observed by the community of believers. This ordinance declares to us that Christ gave Himself fully to be the one and only acceptable sacrifice to God for man. The bread symbolizes His body and the juice symbolizes His blood, which calls us to reflect on what His sacrifice means to us as sinners saved by grace through faith. We welcome all who have believed in Jesus and asked Him to be their Lord and Savior to participate with us in this ordinance. The Lord's Supper is typically observed during the Sunday Morning Service once per quarter.